Featuring a handsome, repeating geometric pattern and an updated iron frame, Soiree offers a touch of sparkle to any room. Tall candles are highlighted by a hand painted Champagne finish. The glass shades in the bath, mini pendant and chandelier fixtures are secured with a locking ring offering form and function for each fixture within the collection. A fashionable brushed nickel finish combines flawlessly with alabaster shades, making this Sea Gull Lighting semi-flush sleek and sophisticated, while the energy saving fluorescent bulbs make it practical. The 13 watt bulbs give off the ideal amount of light for any indoor application. If you are looking for a bold, new age accent for your home look no further. 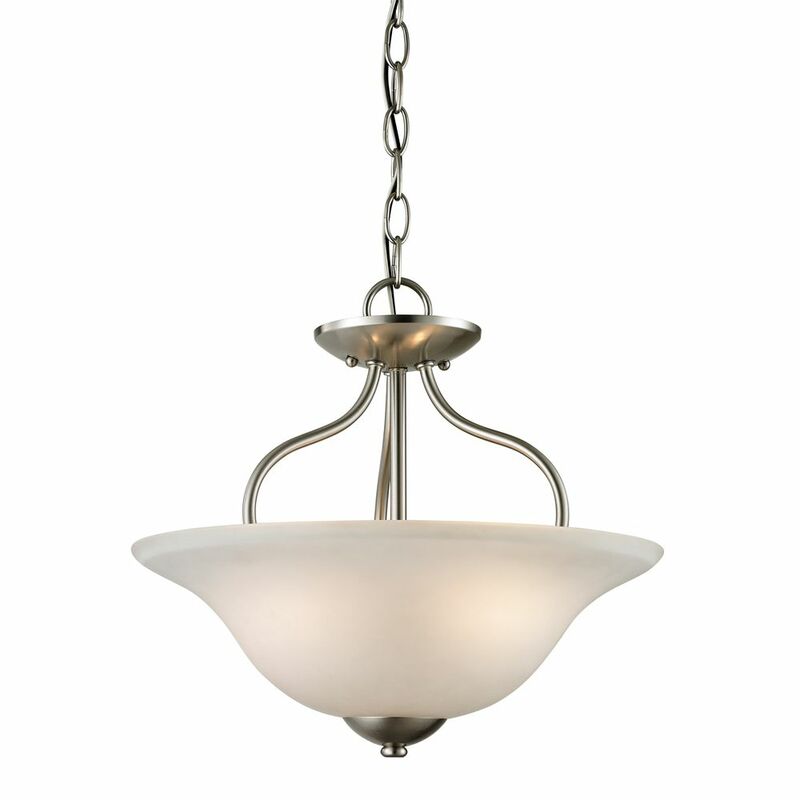 2 Light Semi Flush In Brushed Nickel With Led Option This convertible semi-flush features a casual design with metalwork finished in brushed nickel and a beautiful white glass shade. Includes 6-ft of chain and 10-ft of wire for easy conversion to a pendant.